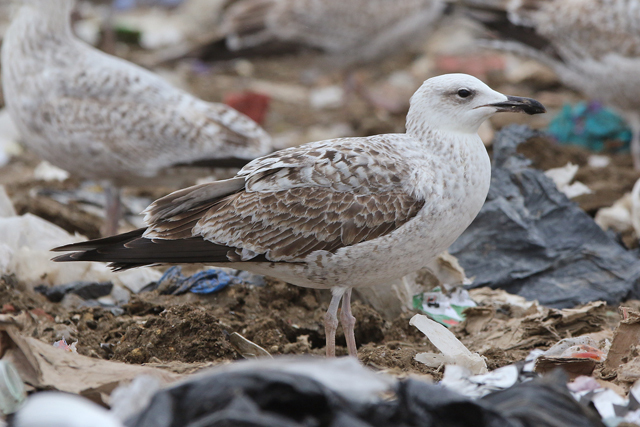 I spent the morning on the tip yesterday. 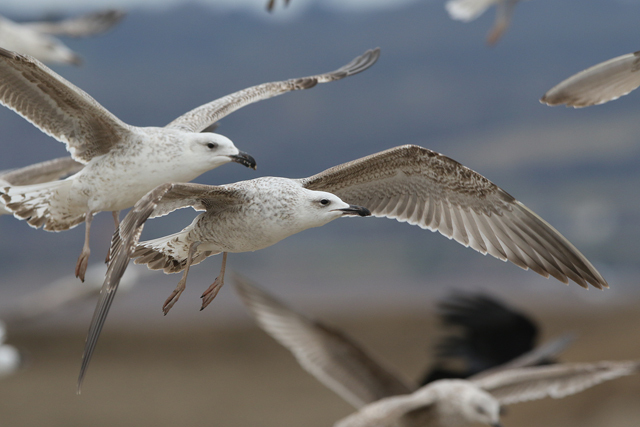 There were a surprising amount of gulls still up there, as it is about now things tend to fizzle out. It was pretty overcast, with a breeze creating more than usual in the way of dust but the gulls evidently didn't mind. As usual, it started off slow but things got going with the highlights being three Caspian Gulls, a handful of Mediterranean Gulls and some interesting rings among the 30+ I managed to read. 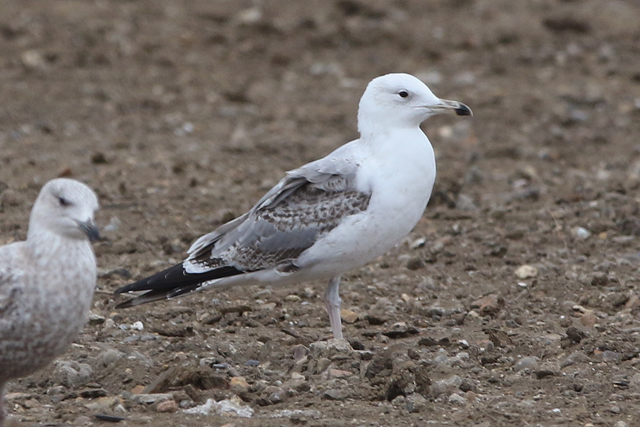 The best Caspian Gull was a 1st-winter bird that I hadn't seen before; a well-marked individual that was extremely aggressive as well as showy. 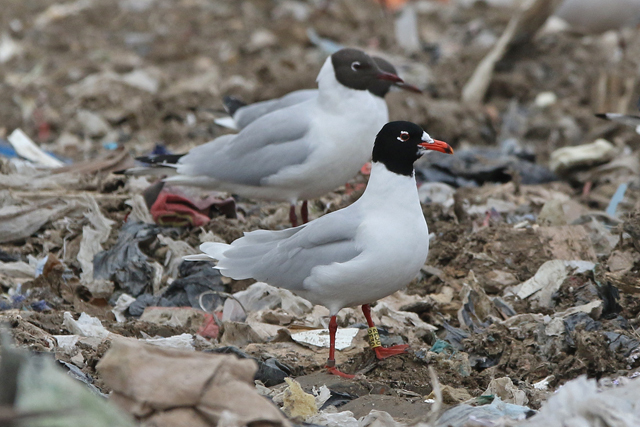 Mediterranean Gull 2E30 Pitsea, Essex 19th March 2016. 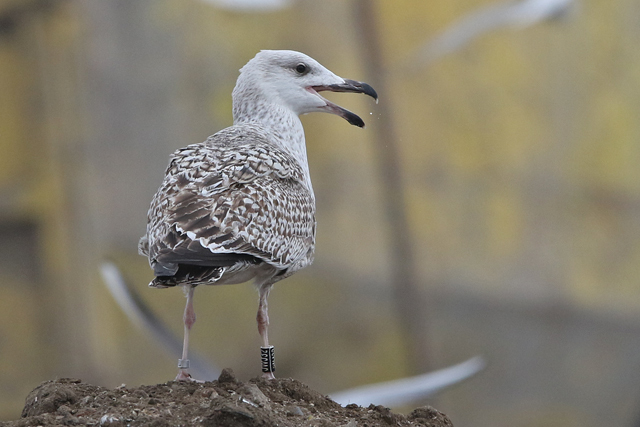 Ringed here in Feb 2012, and seen in both Kent and Suffolk in February 2016. Among the gull rings, a few really interesting records too. 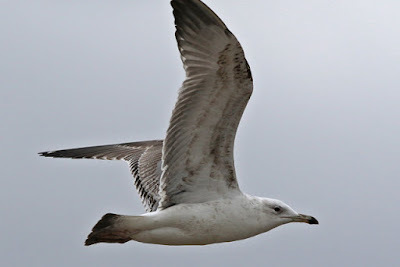 There was the return of a now 22 year old Great Black-backed Gull from Norway, an 11 year old Norwegian Lesser Black-backed Gull that hadn't been seen since 2009 as well as a Lesser Black-backed Gull with a new ringing scheme for me, most probably from northern Germany. 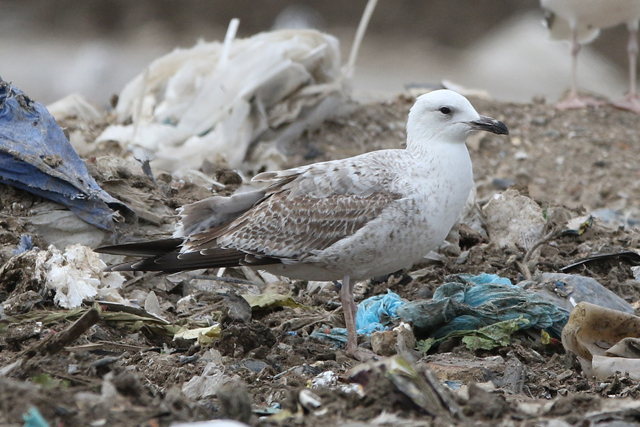 adult Great Black-backed Gull JH417 Pitsea, Essex 19th March 2016. 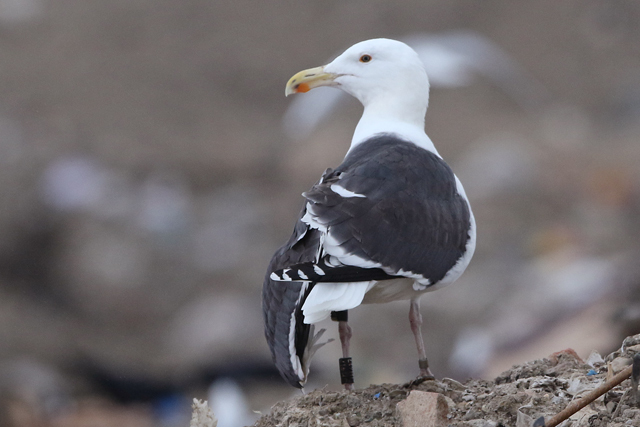 22 years old, having been ringed as a chick at Kjellingen, Mandal, Vest-Agder, Norway on 8th July 1994. Now fitted with a colour ring and data logger, this bird spends its summers in Norway and winters around southeast England and France. adult Lesser Black-backed Gull J154 Pitsea, Essex 19th March 2016. 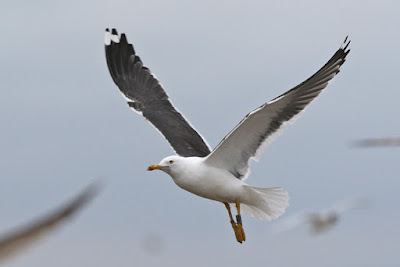 Ringed as a chick on Lislandholmen, Nordhorsvær, Sømna, Nordland, Norway on 21st July 2005, and seen at Pinto landfill, Madrid, Spain on 14th November 2009 (but nowhere since). 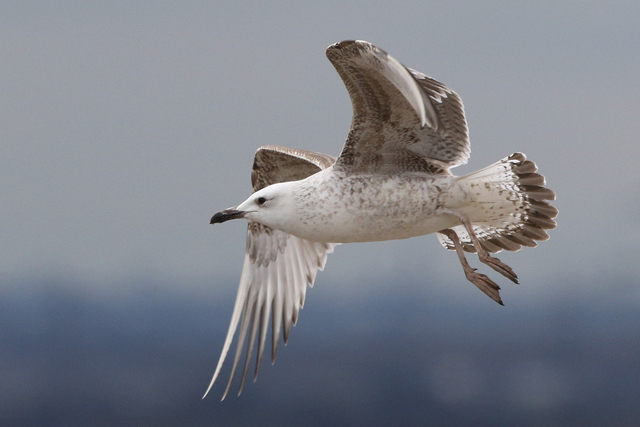 1st-winter Great Black-backed Gull JWJ32 Pitsea, Essex 19th March 2016. Ringed as a chick at Nordre Rønner, Læsø, Nordjylland, Denmark on 29th June 2015 (and I saw this at Pitsea on 6th Feb 2016 too).